Trolls will have an important role to play in my upcoming Dungeons & Dragons campaign. 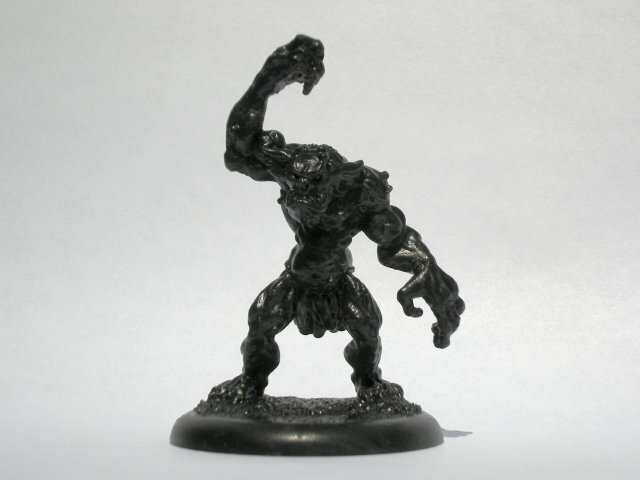 Ben Seins sculpted a wonderful family of the beasts for Reaper Miniatures, and I have made them the mainstay of my troll community. 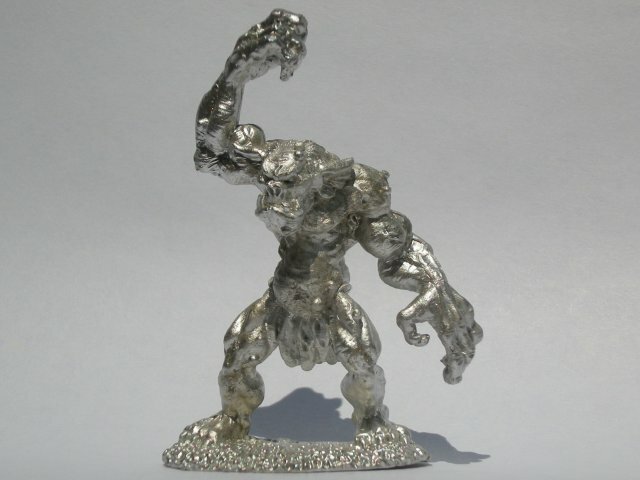 The Cave Troll is a simple but interesting model. It should be easy and fun to paint. No assembly was required this time, but the model did have some significant mould lines. I cut and filed these away as best I could. There were a few that I couldn’t completely remove, so I would have to conceal them with paint. As usual, I primed the model and then applied an under coat of black paint.